Please see the notes at the end of this document. No hidden costs – all prices are inc VAT, fuel, waterproofs, lifejackets and we have never charged for processing card payments. This prices list supersedes all previous quoted prices. Please note that some courses require a minimum number of persons for it to be economic for them to run. We will discuss this with you when you book. All bookings via the website are provisional until we confirm the booking with you – we will do this within one working day of receiving the booking. RYA individual Membership costs £45 via direct debit or credit card. RYA Powerboat Instructor and Pre-assessment package 3 ½ days Free to RYA members else RYA fee of £45 £480 £936 £1368 N/A Call/email to discuss Save £70 when you book the Instructor course and the Pre-Assessment with us. Classroom 1 day £39 to RYA We can run dedicated classroom based PPR Courses at any location for up to 8 personnel at any one time – the cost for this is £400 + VAT. Note: If you need to resit the PPR assessment then there is a fee of £20 payable. Discounts: For most (but not all courses) customers booking and paying for two people receive a discount amounting to roughly 2.5% whilst those booking three or more people will enjoy a discount amounting to roughly 5% – see tables above. Start Motor Cruising: There are two way this course works i) As a stand alone course for adults/children ii) For children being trained with their parents where their parents are on a ‘higher’ course. This course works really well for children training alongside Adults. The costs shown here are an indicator as if (for example) we are running a Dayskipper Practical course for three of you on your motor cruiser for 4 days then if your 2 children join us for 2 days to achieve their SMC then there will not be additional costs. We suggest we always discuss this option ahead of the course starting to agree whether it is a suitable option and to agree the cost. Exclusive/’One to One’ courses: ‘One to one’ courses give you exclusive use of the vessel during your course but unless we agree otherwise with you the classroom/afloat elements of the course may run alongside other similar courses that are running. Own boat training: Prices quoted for both practical and shorebased training assume that you are based in the Poole/Solent area. Travel further afield is no problem whatsoever but may be chargeable. This will be agreed with you fully before booking if relevant. RYA Fees: RYA Fees are subject to change each year by the RYA. The fees quoted are correct at the time of writing but may change. If you are a RYA member you may not have to pay some of these fees. Fuel: Intermediate course: The option exists on each course to undertake a longer passage subject to the agreement of all on the course. Fuel will be charged at cost. Powerboat and Motor Cruiser Charter: The charter rate for the RIBs and the motor cruiser when used for bespoke training assume a limited distance is travelled. Additional fuel will be charged at cost. Online courses: The price for these courses includes us making an Instructor available to discuss any problems by phone that you are having with any aspects of the course. Classroom time if required would need to be charged at the noted rates. RYA ‘Fast Track’ Service: The RYA offer a ‘Fast Track’ service for those that need certificates or licences processing very quickly. The fast-track service can be used either by callers-in-person to RYA House or by post, and they undertake to turn the certificate around in 2 working days (often less) and post back to you first class. This service can be used for ICCs, SRCs (VHF), Commercial Endorsements, Yachtmaster Certificates and Instructor Qualifications. The fee for this service is £31 to non-members, £21 to Pathway/Personal/Associate members, £15 to Accredited members and £10 to Gold members in addition to the standard processing fee. PTUK will handle this process on your behalf if you wish sending your application to the RYA by registered post on the next business day. This costs £25 irrespective of the number of certificates that we are sending. Replacement certificates: Replacement certificates or those which are reissued where a restriction is lifted (eg a child’s certificate when they reach 16) are only available from the RYA direct and cost £20. (Free for Gold and Life members). 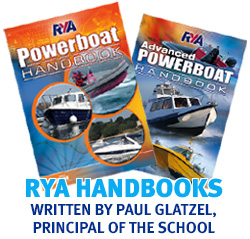 For some certificates we may need to reissue the certificate and this costs £25 including postage (for the UK, overseas locations will be costed separately) for Powerboat and Motor Cruising Certificates. Some shorebased course certificates may cost more where there is a need for us to purchase a ‘RYA Training Pack’ in which the certificate is packaged. Of course replacement certificates will only be issued to those that we have trained and who appear on our database.